The Women's waist traniner corset made of high quality latex fabric and soft cotton lining, Durable and high Elastic. 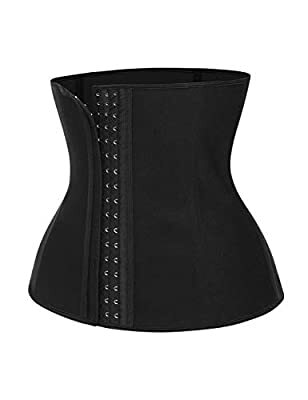 Hook and Eye adjustable closure and Felixbe spiral steel bones inner,make this waist cincher comfortable to use. This is not just a waist corset for sport activities, but also a good body shaper to wear in daily life. 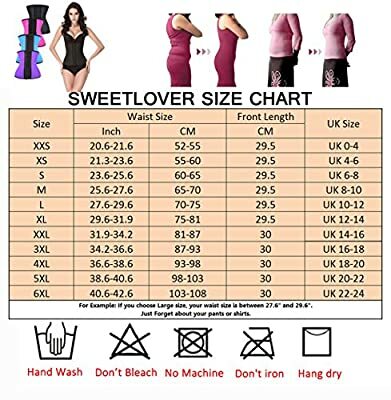 FUNCTION:Reduce your waist line instantly once you put on our Shapewear, help you sweat lose weight, Define S curves, Corrects posture by back supports, Protect and prevent Injury.To be slim by healthy way. 2.Please measure your waist circumference and abdominal circumference before order. 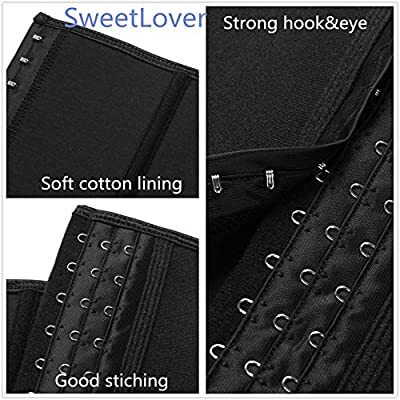 Question: Why you need to order Waist Shaper from Sweetlover instead of other shop? 2. 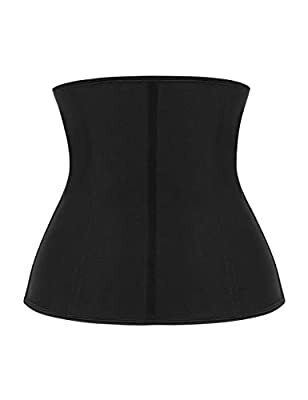 Our Waist trainer give you the perfect S Curves, make you Eye-catching from crowd. 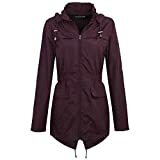 3.High Quality Guarantee, Free reason return without any fee if you do not like the item after you got it.